At the time of writing (Sunday, 13th May), some of you may be left suffering in the aftermath of the Eurovision Song Contest. With lyrics, performances, costumes and hairdos all of a dubious nature, not only does this annual event play fast and loose with definitions such as ‘song’ and ‘contest’, it also, with the inclusion of countries such as Israel and Australia, pushes the boundaries of the term ‘Euro’. I should hasten to add that I, myself, absolutely love it. Sadly, with over 40 countries now participating and at least 20 of them being whisky producing nations, my dream of hosting a Eurovision themed tasting has been shattered. Neither my conscience, my wardrobe nor my public liability insurance would be up to the task. Having won the ‘competition’ a record seven times and giving us the best interval act ever, if I were to highlight one whisky producing country that encompasses all that is Eurovision, it would have to be Ireland. But what would my Eurovision entry be? After the 2014 sale by Diageo to Jose Cuervo, I initially thought Bushmills might be a good choice; just think Linda Martin’s ‘Why me?’ Or perhaps, after spending ten years maturing at Cooley’s warehouses, followed by the briefest of finishing periods in Cork, Hyde could stand in for Johnny Logan’s ‘What’s Another Year?’ What I’m opting for, though, is one of the best whiskies I’ve tried in a good while – JJ Corry The Gael – for Dana’s ‘All Kinds of Everything’. 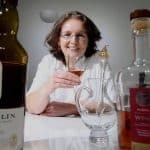 JJ Corry The Gael is the first release from one of the many recent Irish whiskey newcomers, The Chapel Gate Irish Whiskey Company, founded by Louise McGuane. The whiskey pays homage to JJ Corry himself, a well known late 19th century whiskey broker from the area, and the bicycle he invented, The Gael. Now, transparency and honesty are words we like a lot here at Malt and this is where Chapel Gate gets an extra thumbs up from me. 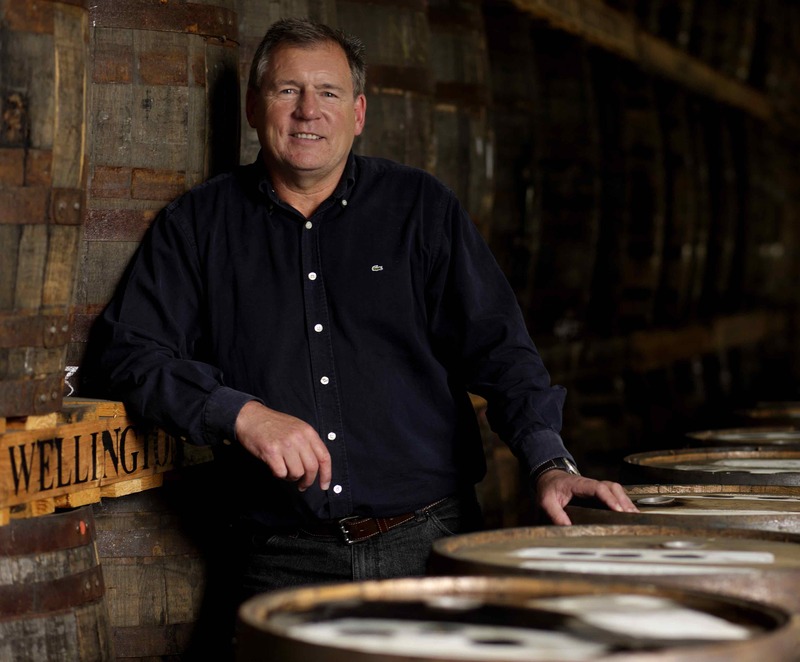 From the outset, the company has been crystal clear about its aim to ‘bring back the lost art of Irish whiskey bonding’. In and of itself, this may also double up as good marketing but the important thing is that Chapel Gate has never purported to be a distillery. Secondly, marketing material for the first release has once again been unambiguous in stating that the whiskey hasn’t spent any time in the Chapel Gate warehouse; it‘s sourced mature stock blended to create Chapel Gate’s preferred flavour profile. Finally, and this is the bit I like the most, the components are listed. Well, more the proportions than the components but, as this is aged stock, the choice is pretty limited; a quick read of a Chapel Gate blog post narrows this down even more. Open and honest once again. With sights set quite rightly on US distribution for the moment, JJ Corry The Gael, bottled at 46%, might prove tricky to get hold of here in the UK. A 75cl bottle retails for £72.95 at The Whisky Exchange (making 70cl equivalent to £68.09). On the nose: an initial hit of ripe bananas; orange marmalade; lime cordial; delicate wood notes throughout; lemon meringue pie; pencil sharpenings – very slight to start then emerge stronger but are never overwhelming; subtle hint of almonds; slight hint of coconut which grows the longer it’s in the glass. In the mouth: a slightly oily texture; a slight burst of pepper; fruit emerges with tinned mandarins followed by lime juice; lemon bonbons; gooseberries; the oak influence is apparent but, again, not overwhelming; Juicy Fruit chewing gum; heading into the finish there are chocolate covered raisins; it becomes slightly drying which contrasts with the fruity sweetness adding an extra layer of complexity. I’m sure, like me, you’ve heard many times that a good blend should be like an orchestra, where all the elements are working together in harmony. This whiskey is exactly what they mean when they say that except that this symphony is interspersed with some cracking solos. This is genuinely suited to my palate; it really does offer all kinds of everything. Full transparency: after the Whisky and Women event in February, which I organised, and at which Louise McGuane was one of the invited guest speakers, this bottle was given to me. Malt readers should know by now that this doesn’t necessarily guarantee a favourable review. However, neither does it automatically preclude one. Also, the link to the Whisky Exchange is commission-based but again doesn’t influence our opinion of the whisky at hand. That’s quite a recommendation. Douze point! As soon as I read your review, I ordered a bottle. Can’t wait to try it. As for Eurovision, at least the Beyonce clone (Cyprus) didn’t win!